Where: Narawntapu National Park, north eastern Tasmania. 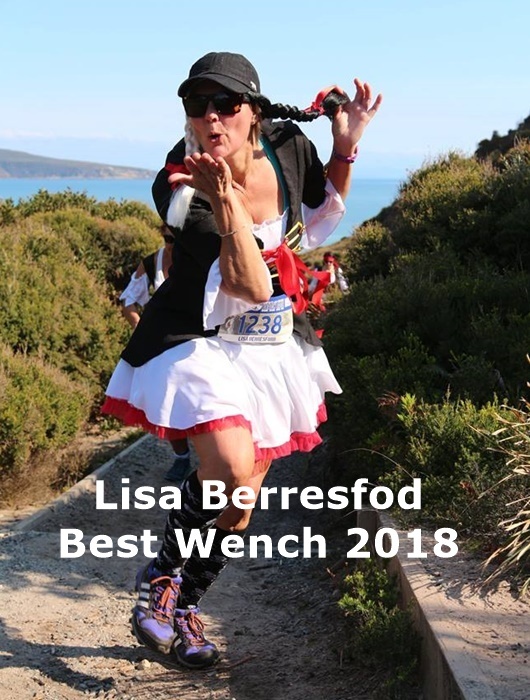 An out & back coastal trail run starting from Greens Beach, at the mouth of the Tamar River (western side), through the National Park on a coastal track of pine needles, sand and unspoilt sandy beaches. Heading west, passing West Head, Badger Beach, Badger Head, Copper Cove Beach to the western end of Bakers Beach and then return. Entrants are encouraged to wear fancy dress. Race options: 50km events start at 0800hrs (tide dependent). There are also team and relay options for the 50km, as well as 25km, 12km & 5km solo events, with later start times. When: The next event is 28 April 2019. The last event was 22 April 2018. Race records: male David Bailey 3:46:59 (2015); female Amy Lamprecht 4:10:15 (2015). This race is conducted in one of the most pristine of Australia’s many beautiful coastlines. Travel and accommodation is inexpensive and easy…….so come on down and enjoy some Tassie hospitality. Air travel: Direct flights are available from Brisbane, Sydney and Melbourne with Jetstar. Ground transport: Rental Cars are available from the usual operators, Avis, Budget, Europcar etc. If 3 – 4 runners pool together this keeps the cost at a reasonable level. Or why not get a larger group together and hire a minibus. 12 seater min vans are available from Budget for approx $130/day. Launceston: With a population of approximately 100,000 people, Launceston is Australia’s third oldest city behind only Sydney and Hobart. As such it is rich in colonial history and has many attractions on offer. Don’t miss the famous Cataract gorge or Australia’s longest continuous cable ride at Hollybank.